Sonny and Lucille Tillman started Sonny's Bar-B-Q in 1968 as a neighborhood gathering place for good food, drink, fun, and life-long memories. 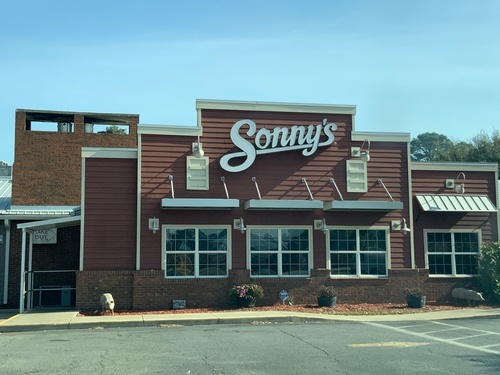 Sonny's is Southern Hospitality - a warm tradition of caring and a passion for ''Smiles and Quality.'' ''Smiles'' start and finish with every Sonny's experience. ''Quality'' shows in our enthusiasm for putting people first and in everything we do. The result of our passion for ''Smiles and Quality'' is a warm, family feeling whenever our stakeholders think of Sonny's. Our vision is to deliver an unrivaled mid-scale dining experience where everyone is always welcome. Our Mission is to be the leader among mid-range casual dining restaurants, to ensure the success of all of our stakeholders and to maintain an unwavering commitment to our community.